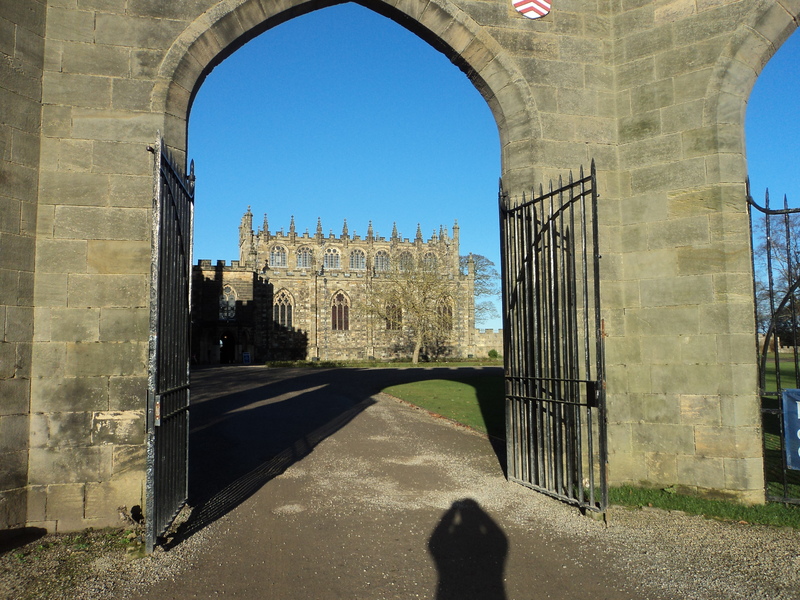 I have very vivid memories of visiting Auckland Castle as a sixth form student beginning to wonder about my vocation to the ordained ministry in the Church of England. 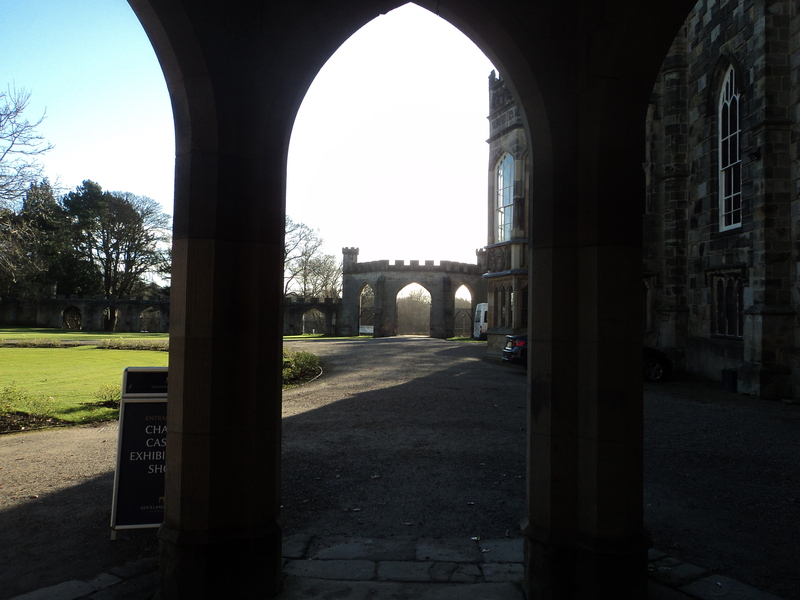 At a young people’s gathering in the Throne room of this imposing building I remember the Bishop of Durham, John Habgood, addressing us in a simple and direct way and asking us to consider how best we could use our lives for God. In retrospect this may well have been a significant turning point for my life decisions. 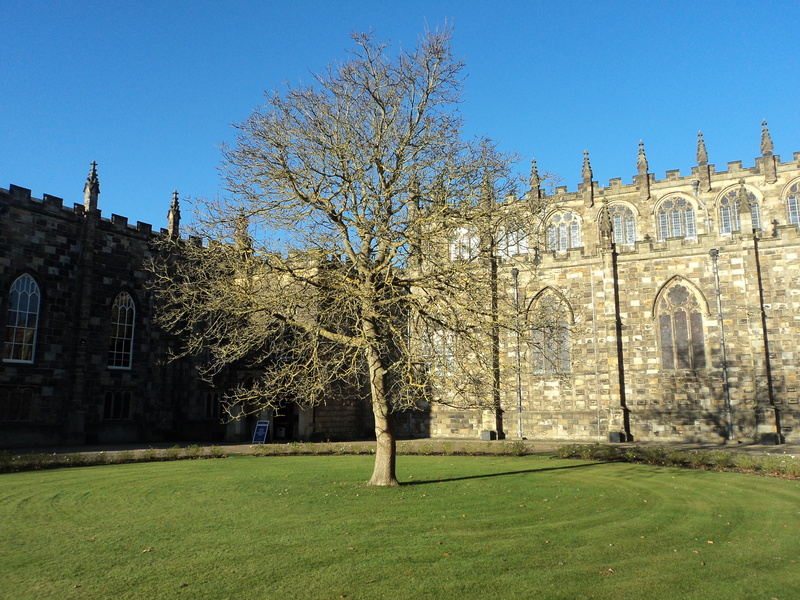 In a recent visit to the north-east my sister very kindly drove me over to Bishop Auckland to see the Castle. In recent times church commissioners came into some controversial conflict following a decision to move Bishop out of the Castle into a more manageable house. 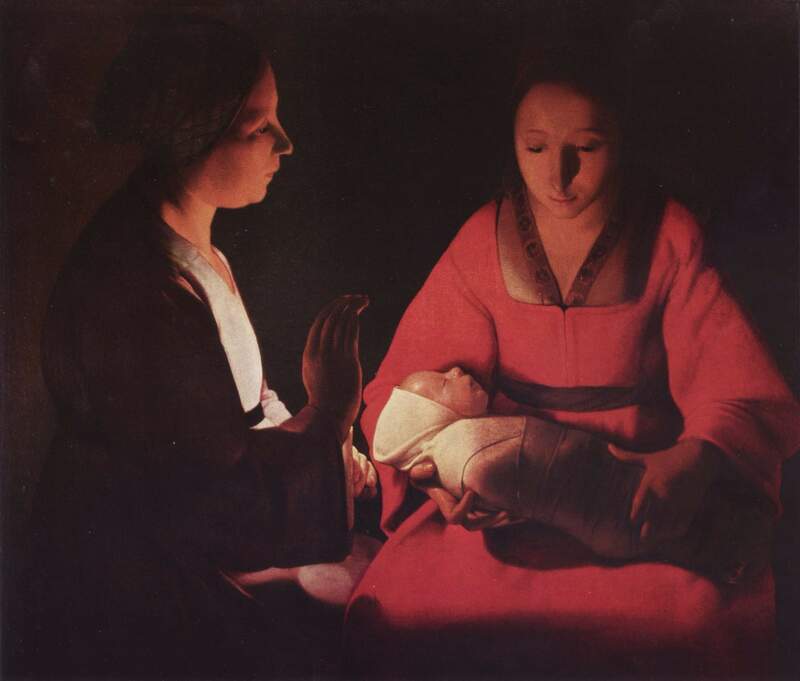 This plan included the selling of thirteen paintings by Spanish master Francisco de Zurbaran. 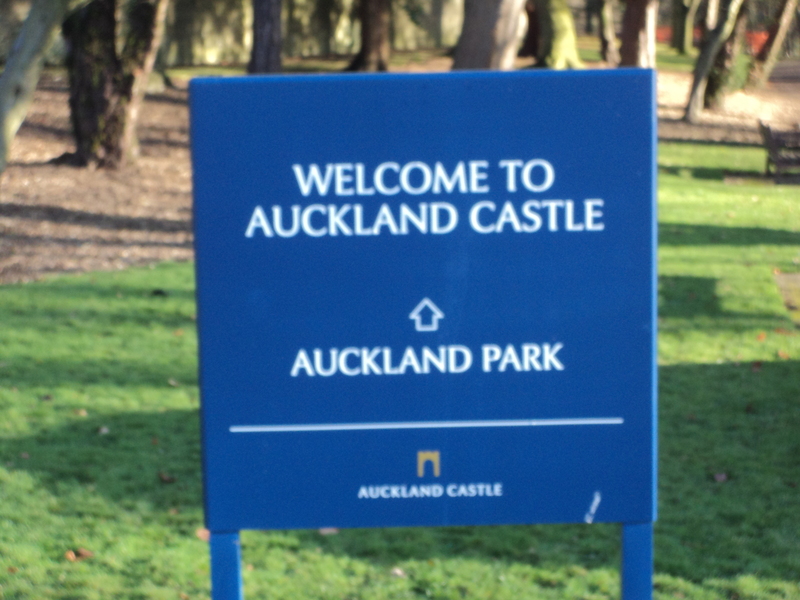 They were rescued by the philanthropist Jonathan Ruffer who has established the Auckland Charitable Trust in 2012 with the aim of restoring the Castle, its art collection, the Deer Park and gardens to their former glory, ensuring they remain open to the public for generations to come. 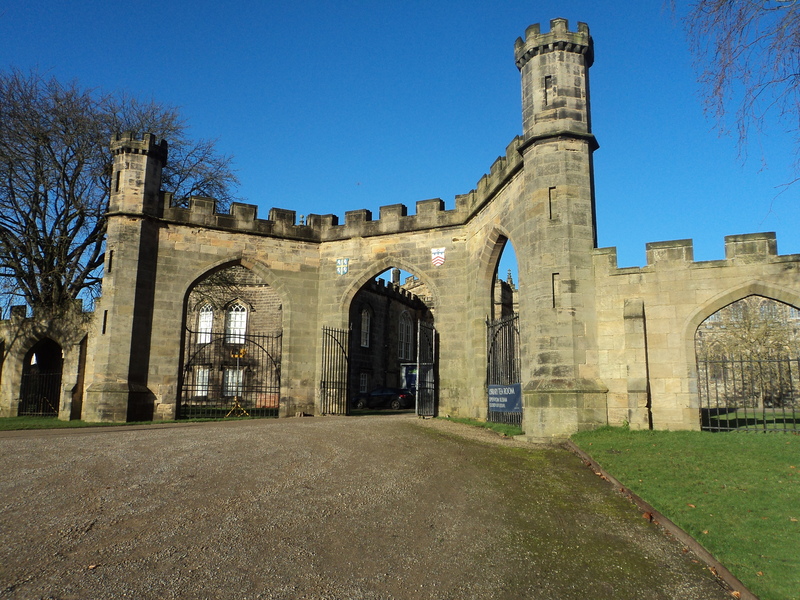 The Trust’s ambitions are high – and if we are to achieve them we will need to raise well over £10m to fund the restoration and redevelopment of the site. I was very glad to visit be Castle and share with you some of my photographs which give you a flavour of this extraordinary building. This is the largest private chapel in Europe. 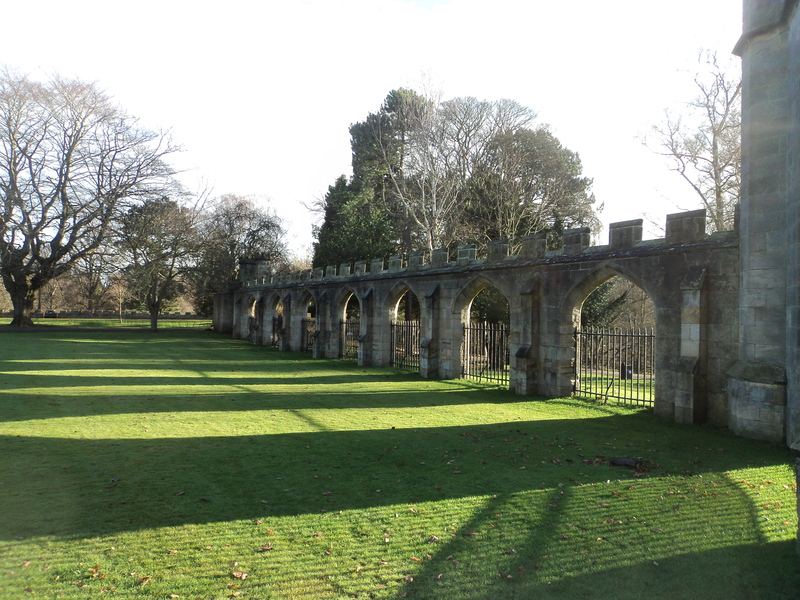 It started life in the 12th Century as a Banqueting Hall, complete with buttery, wine cellar and minstrel gallery. 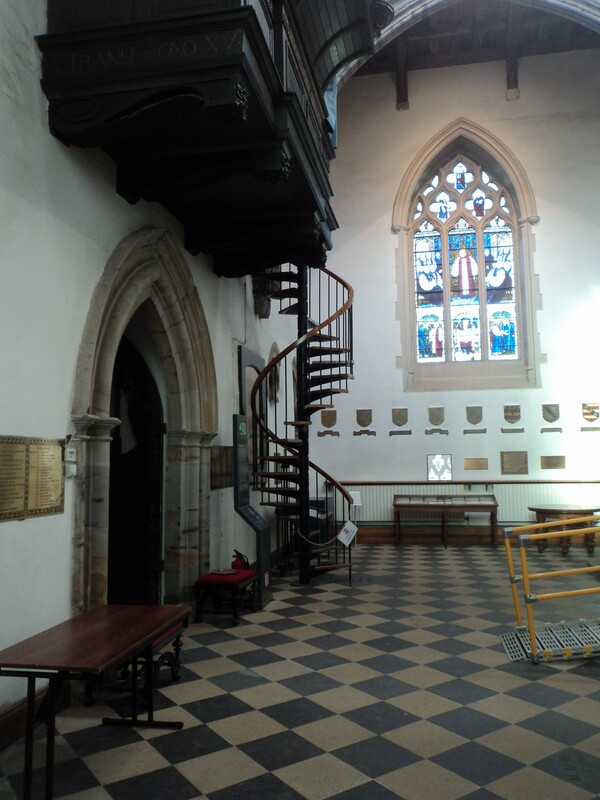 The Castle’s original chapel, which stood from the 13th to 17th century, was demolished following the Civil War (1642-51) when the Prince Bishops lost their power, however by the end of the 1650s, the Restoration changed the political landscape again. 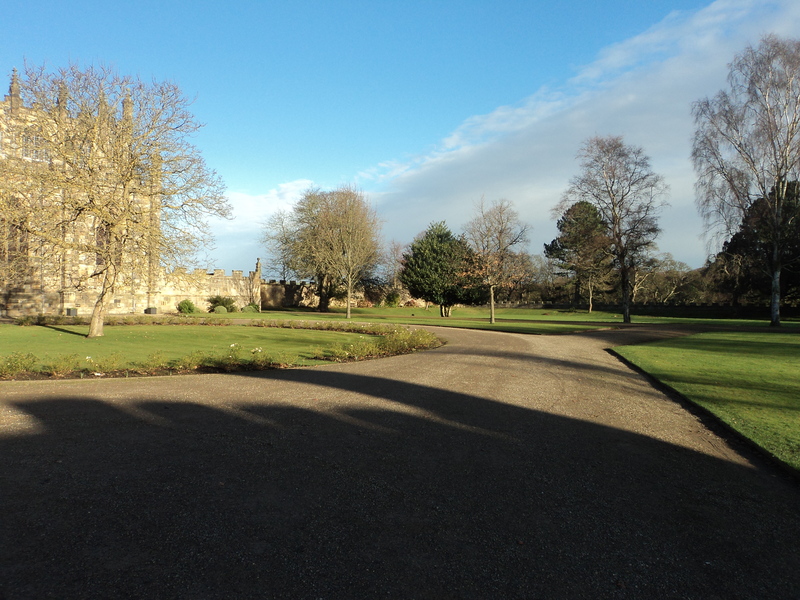 Bishop John Cosin arrived in 1660 and set about rebuilding and renovating large parts of the Castle site. 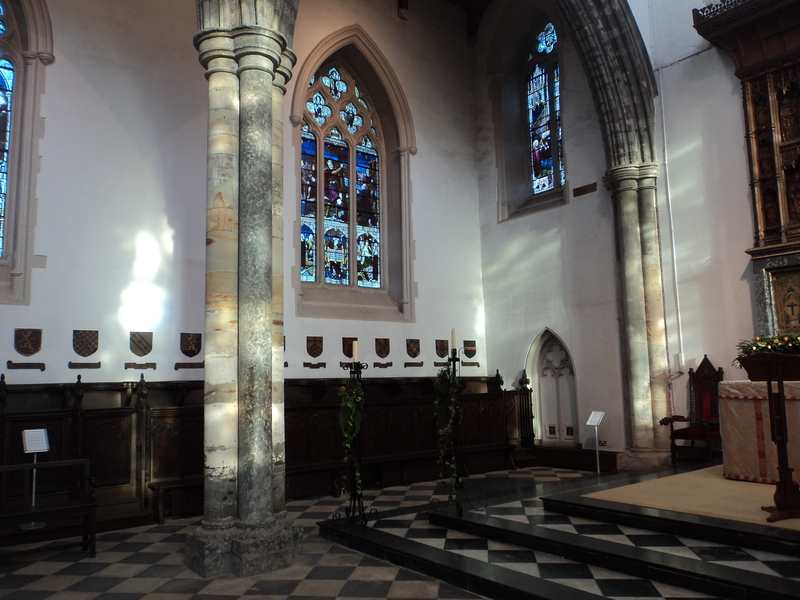 One of his first tasks was to convert the Banqueting Hall into what you now see as the Chapel. It was consecrated on St. Peter’s Day, 1665. 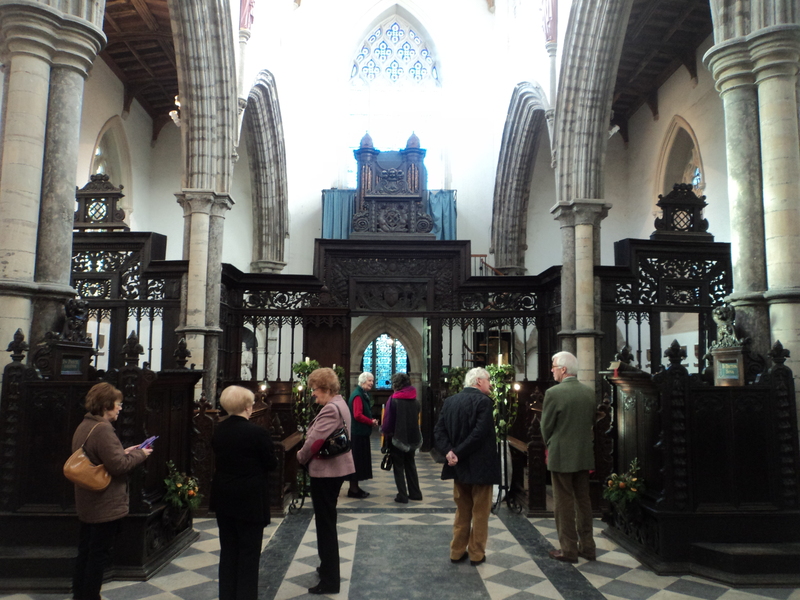 In 1828 Bishop Van Mildert raised the side aisles. 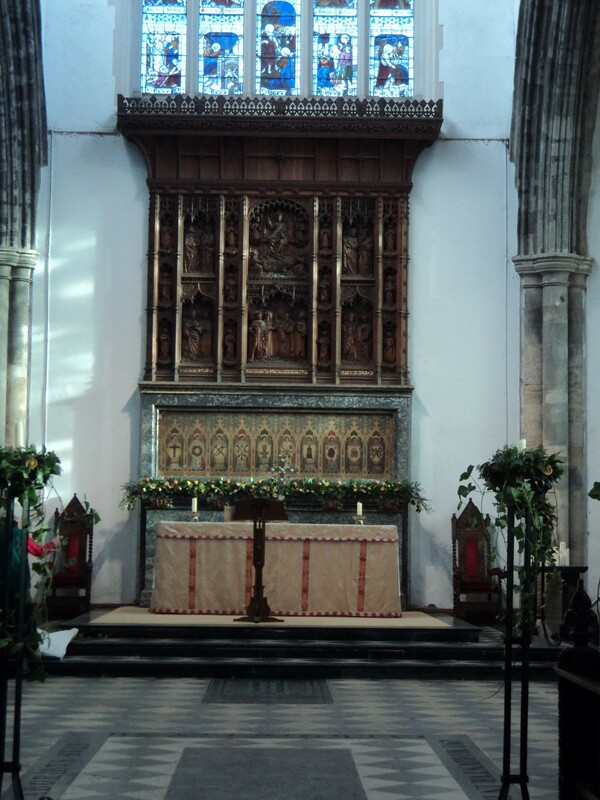 In the 19th century Bishop Lightfoot added stained glass windows and a reredos of carved oak sitting on a Frosterley marble plinth. 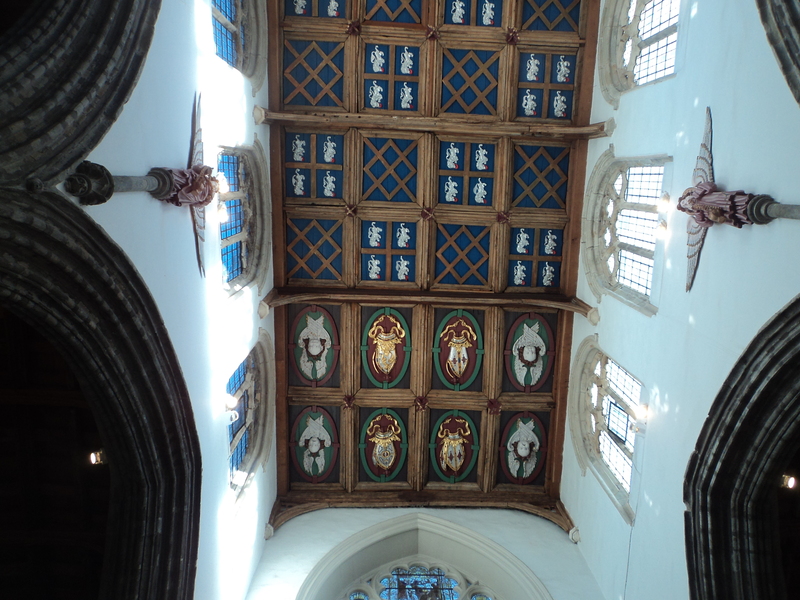 The heraldic shields and the six angels, which rest upon the supports of the roof of the old Banqueting Hall, were added by Bishop Lightfoot the 1880s. 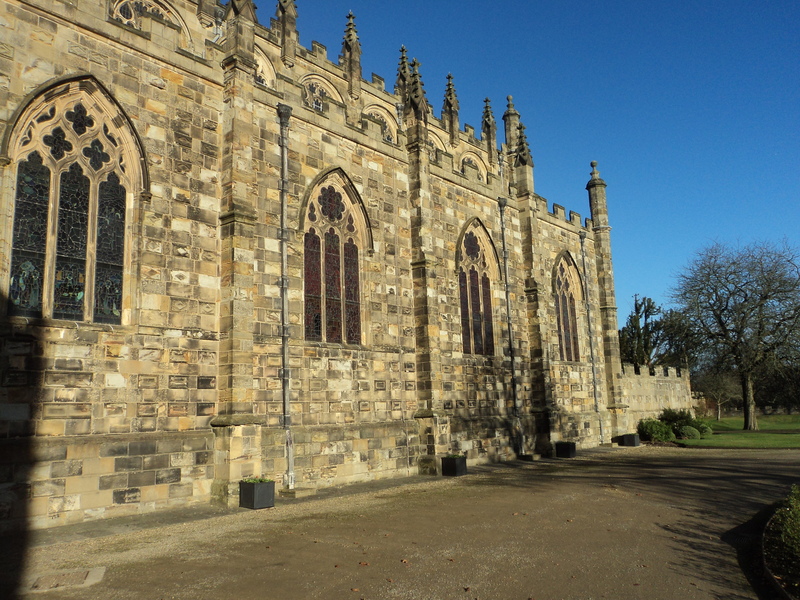 He also added tined glass into the windows; however some of the Chapel windows date back to Medieval times when Bishop Bek was at Auckland Castle. 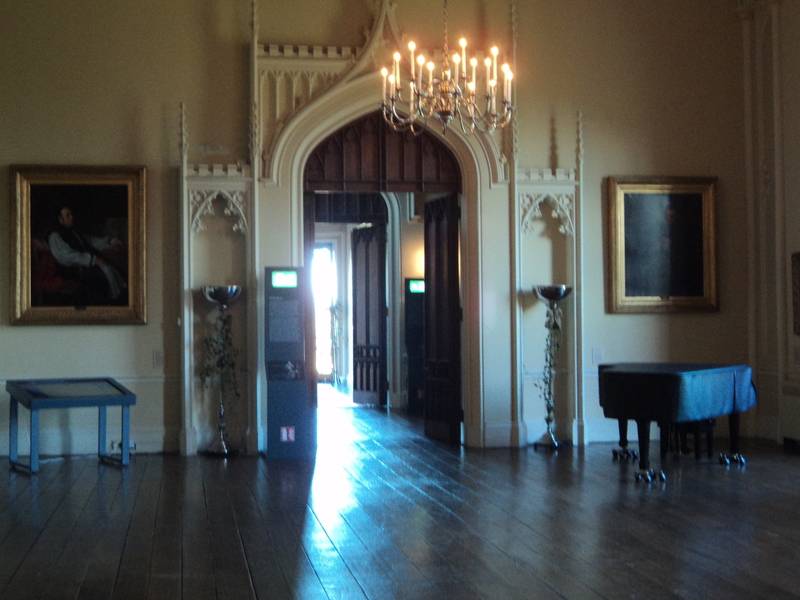 It was the Throne room that brought back very vivid memories for me – and thinking back visit must have been in 1978 ! 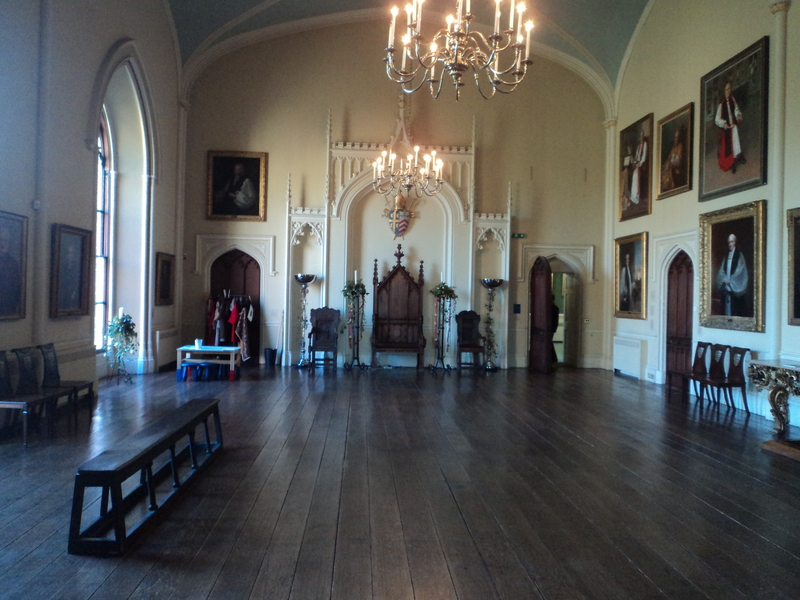 This imposing room is a sign of the power of the Prince Bishops. As you enter, you are faced by the Bishop’s Throne. The Throne is very clearly a chair of state; wide, heavy and ornately carved. Behind the Throne there is an ornate plaster screen depicting the arms of the Diocese supported by a crook and a sword, and surmounted by a bishop’s mitre rising from a coronet. 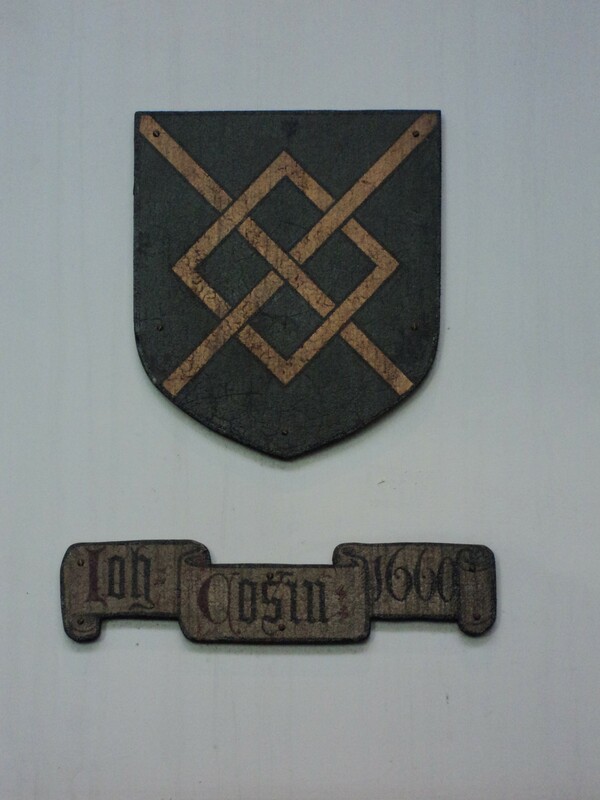 This signifies the status of the northern Bishopric as though it should be worn by a king or queen. The use of a sword also shows that the Prince Bishop had power which extended beyond the Church to securing and administering the secular law. 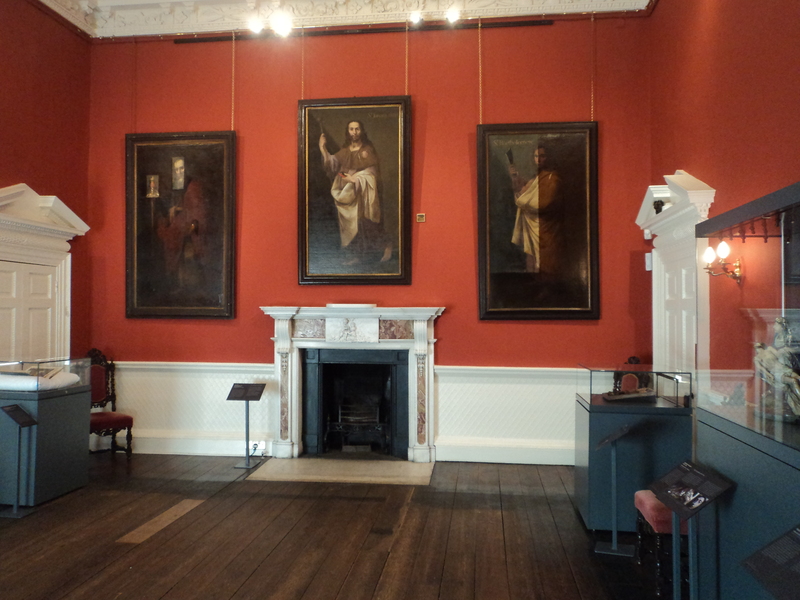 Around the walls of the room hang portraits of some of the successive bishops. 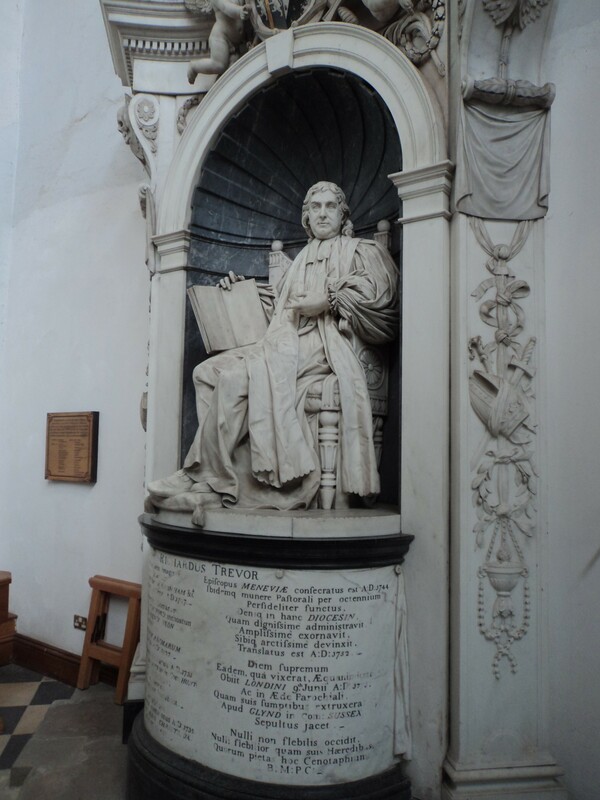 The two portraits by Sir Thomas Lawrence of Bishops Barrington and Van Mildert are impressive, as is the portrait of Bishop Westcott painted by George Richmond. There are also portraits of some of the more recent Bishops, Michael Ramsey, David Jenkins and Michael Turnbull. 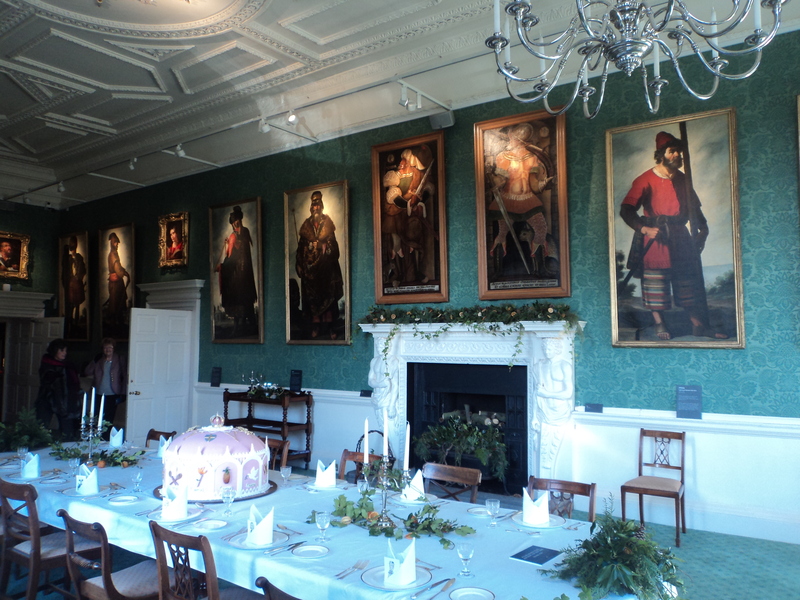 And finally various pictures including the Zurbaran in the dining room and the Spanish room. 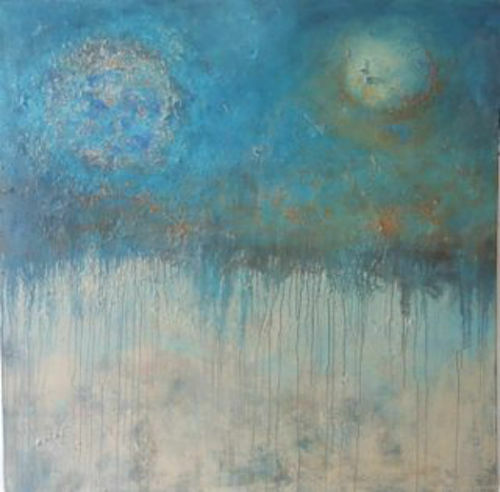 This is a fantastic projects and well worth visit and indeed a detour if you’re in the area. This evening I want to remind you of something very remarkable that happened exactly 100 years ago to this day. The world was at five months into an armed conflict that ended the lives of fifteen million people. On the western front German, British, and French were dug into trenches. It was cold and wet. The conflict was slow and bloody. 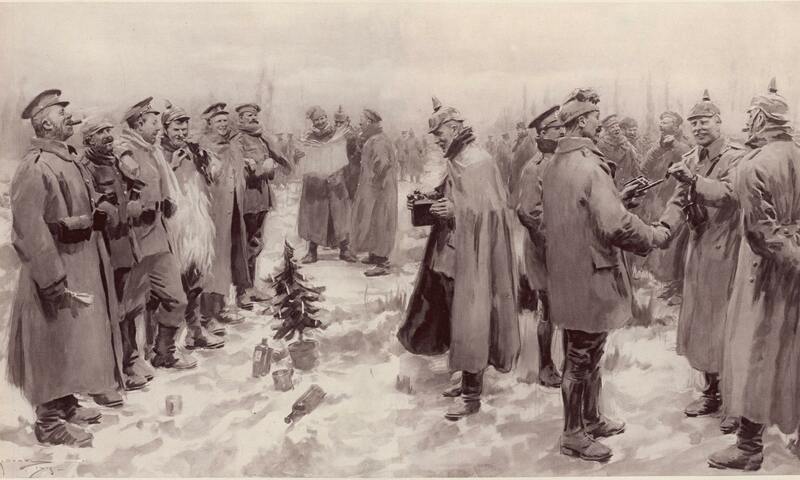 Unexpected and spontaneous German troops held small fir trees up out of the trenches with signs, “Merry Christmas.” A shout came out of the damp and freezing soil. “You no shoot, we no shoot.” The slowly thousands of troops streamed across no-man’s land that was strewn with rotting corpses. Weapons were laid aside. The soldiers shook hands. Names and faces were acknowledged. They sang Christmas carols, exchanged photographs of loved ones back home, exchanged presents, shared rations, and played football. Soldiers embraced men they had been trying to kill a few short hours before. Some soldiers used this short-lived ceasefire for a more sombre task: the retrieval of the bodies of fellow men that had fallen within the no-man’s land between the lines. Peace for a few hours. For a few hours there was peace. 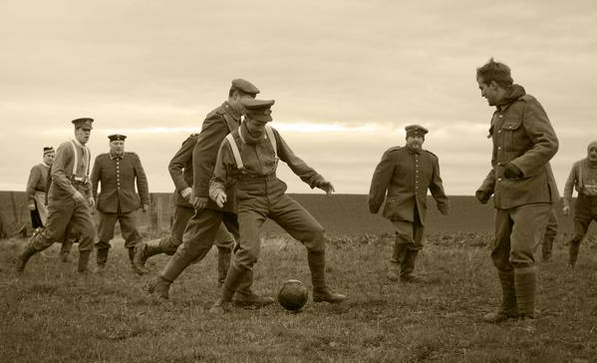 The story of the Christmas truce. The Church through this Eucharist speaks to us of the peace and light and hope that we find in Christ. The birth of Christ – has changed our world forever. We are called by Him to live in Peace and Love and to share those gifts with others. We live we with imperfection. There may be few of us here tonight that would not want the world to be a little different, better, fairer, more loving and more peaceful. It was the Christmas story that brought these soldiers together. The story offers us a glimpse of the world as we wish it could be – that meanness, conflict, retribution and discord need not be the final words. Christmas and its love in demonstrated by those soldiers is like hearing that our deepest wishes really are true: against all odds the world can be different. 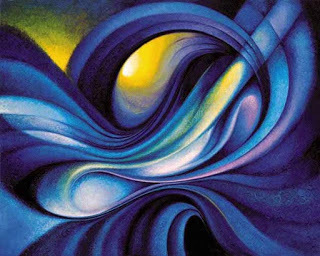 This is God’s gift: we are asked to respond for the sake of an enduring humanity where all flourish. We shall now hear a verse of Silent Night that was sung by Germans and English across the divide. As we listen in the light of this story let us pray for peace in our troubled world. And in this hope we pray too that you and I may be peace bearers and peace makers this evening and every possible beating hour of our lives. our anxiety into His peace. One hundred years ago the world was at war – it was a conflict that changed the world for ever and at this anniversary we have been remembering its impact upon the families and communities in our country. 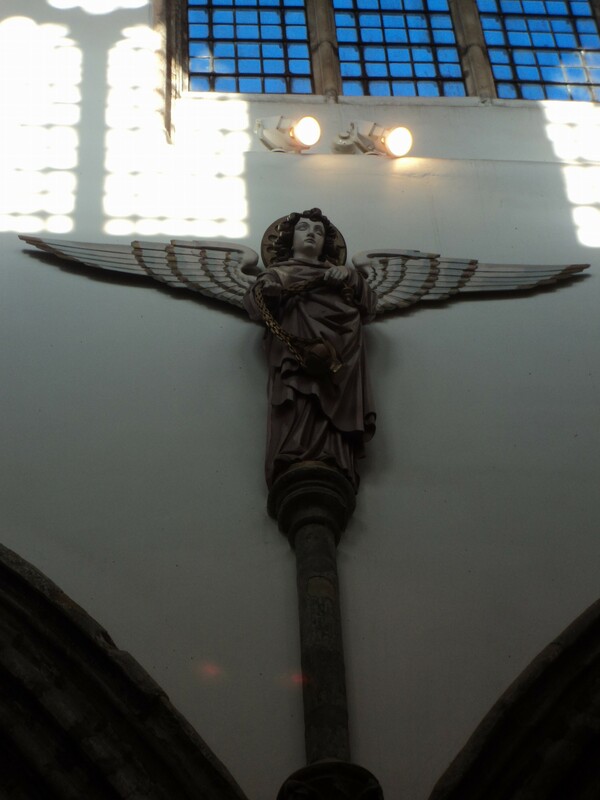 In particular we remember with sorrow our human capacity for conflict injustice and destruction. This evening our Carols and readings speak of the peace and light and hope that we find in Christ. The birth of Christ – has changed our world forever and continues to inspire acts of love; a desire to change the world and to see God’s peace reign over us. Let us remind ourselves of what happened all those years ago between two armies at war. Late on Christmas Eve 1914, men of the British Army heard Germans troops in the trenches opposite singing carols and patriotic songs. They saw lanterns and small fir trees along their trenches. Messages began to be shouted between the trenches. The following day a truce was called. Weapons were put aside and British and German soldiers met in no man’s land. They shook hands, exchanged gifts, and took photographs. Some played impromptu games of football. For a few hours there was peace. Enemies became friends and Christmas was celebrated.